Slamming an unexpected U-turn from Dredd is another comic-book remake. This time, it’s The Amazing Spider-Man! How many times must we see Spider-Man’s origin story? Well, this time, it’s different. 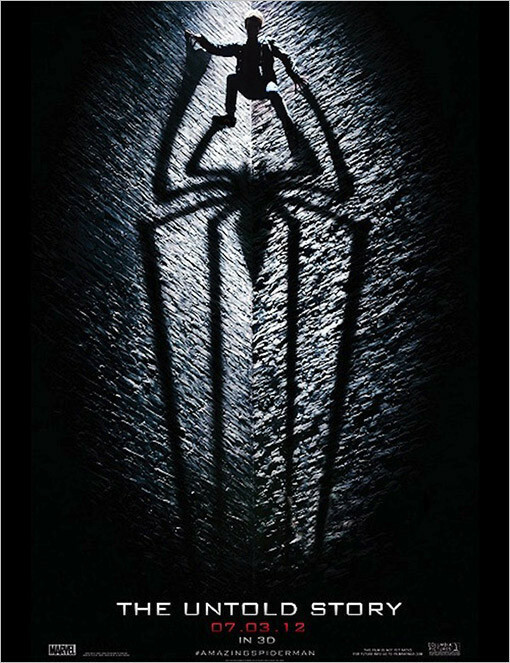 Much different from the one released 11 years ago, starring Tobey Maguire, Kirsten Dunst, James Franco and Willem Dafoe. This would be the UPDATED origin story, ripped from the pages of Ultimate Spider-Man… something much, much different. End Sarcasm. In this remake, we are introduced to the teenage troubles of young Peter Parker, whose love interest is a lovely, young Gwen Stacy (impressively played by a blonde! Emma Stone), staying true to the comic book. This time around, Uncle Ben gets a lot more screen time (most likely a contract demand of Martin Sheen), and the mysterious disappearance of Parker’s parents is explored, which was later retconned into comic book canon many years after Spider-Man became a best seller. Apparently, Dr. Curt Connors worked with Richard Parker before his disappearance on a secret project: The 00 Decay Rate Algorithm. As interesting as this subject matter sounds, it can’t be tested until Parker’s scientific formula is found, but it mysteriously vanished… until Peter Parker finds it. Dr. Conners foolishly tests the formula on himself, regrowing his arm and transforming into the classic villian (of the comics, not the Sam Raimi films): The Lizard! While there isn’t a true villian in the movie, at times The Lizard and Captain Stacy (Denis Leary, hamming it up) are equally despised. Sadly, JJ Jameson and Norman Osborn never make appearances. With the advancement of technology, the CGI looks great (much better than that of 11 years ago) and when Spider-Man swings through the sky, it feels like watching a videogame, following the dizzying camera angles. This new version of Peter Parker is played by Andrew Garfield, geeking up the socially awkward role formidably, however, in real life, he is way too old to play a teenager and too tall to be a lightweight superhero. This Peter Parker knows parkour and uses high-tech gadgets, but only a few good one-liners sprinkled throughout. Not enough, as compared to the comic book. As an original supervillian introduced in 1963, The Lizard should have been spotlighted much sooner in a feature film, preferably before Sandman and Venom, who are far-less influential in the overall story arcs. This Lizard has ridiculous regenerative powers, practically as potent as adamtanium? Tone it down a notch, Sony! The Lizard isn’t more powerful than Wolverine (but it would make a great movie). Get ready for yet-another-Spider-Man sequel! It’s already been confirmed that Jamie Foxx will play Electro, Paul Giamatti will be Rhino and Shailene Woodley will play Mary Jane Watson, in a storyline sounding like it has jumped the shark. In a World Without Weakness, yet another Spider-Man Slice of Life is entirely inevitable. Everyone knows this needless remake was made so Sony wouldn’t lose the Marvel license to make money and the rights would revert back to Marvel Studios. I boycotted seeing this at the theater so Sony wouldn’t make any money off me. The ultimate prize in the sky is for Marvel to buy back each one of its properties it originally auctioned off and creating the ultimate comic character battle royal in a sequel to The Avengers. That would truly be a cinematic marvel! Strength: Sort-of returning to Spidey’s comic-book roots. Weakness: Uncle Ben gets WAY too much screen time.